We’re excited to announce the latest addition to our collection of saxophone lessons, and a new topic to hit the site here at ProMusicTutor.com. Minor 2,5,1’s Series 1 is the latest addition, a fantastic introductory series for anyone looking to become a master of playing their saxophone within the jazz genre. James Morton is your tutor for this series as you work through a range of scales and arpeggios that will help you master your Minor 2,5,1’s. James shares some excellent insider tips and pro techniques with you, even going into how Minor 2,5,1’s will help you beyond jazz, including if you’re passionate about playing Latin, Blues, or even Rock on your saxophone. 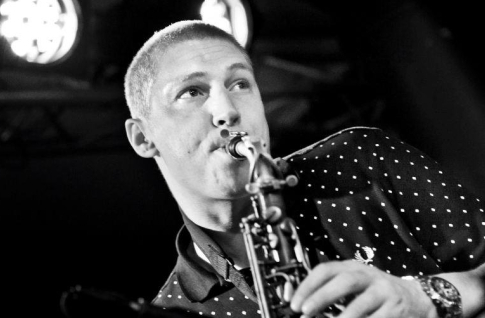 Check out James Morton’s Pro Music Tutor profile here. In this series you get to enjoy six incredible lessons that cover everything you need to know to get a full introduction to and appreciation of Minor 2,5,1’s. Although James recommends this series be used after completing and mastering the Major 2,5,1’s collection, he has designed both series in such a way that they can be intertwined and learned in any order or even alongside each other. Check out the promotional video for Minor 2,5,1’s Series 1 below. Like what you see? Head over to the Minor 2,5,1’s Series 1 page now to purchase this exciting new series.